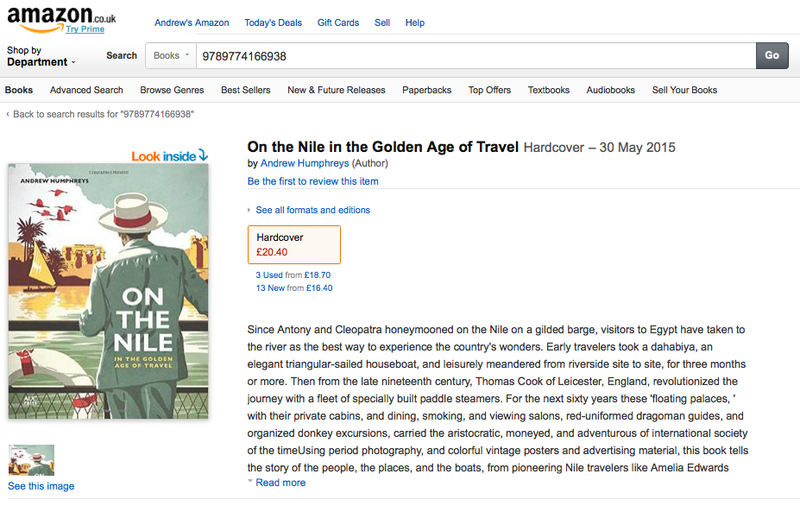 On the Nile is now available from Amazon. The new book On the Nile is a history of travellers and tourists on the river in Egypt. It starts with dahabiyas and quickly moves into the era of the steamboat. The first steamboat on the Nile was, as far as I can ascertain, l’Egyptienne, built at the request of Muhammad Ali by Laird, Son & Co of Birkenhead, England and delivered to Egypt in 1837. But it wasn’t until 1851 that Abbas, grandson of Muhammad Ali, inaugurated a government-run monthly service of passenger steamers between Cairo and Aswan. This was reportedly unreliable which is maybe why it doesn’t seem to have been much used by travellers. The change didn’t come until 1870, when Thomas Cook & Son took over the running of the steamers and not only made them run to schedule but made them popular thanks to extensive marketing through its offices around the globe. 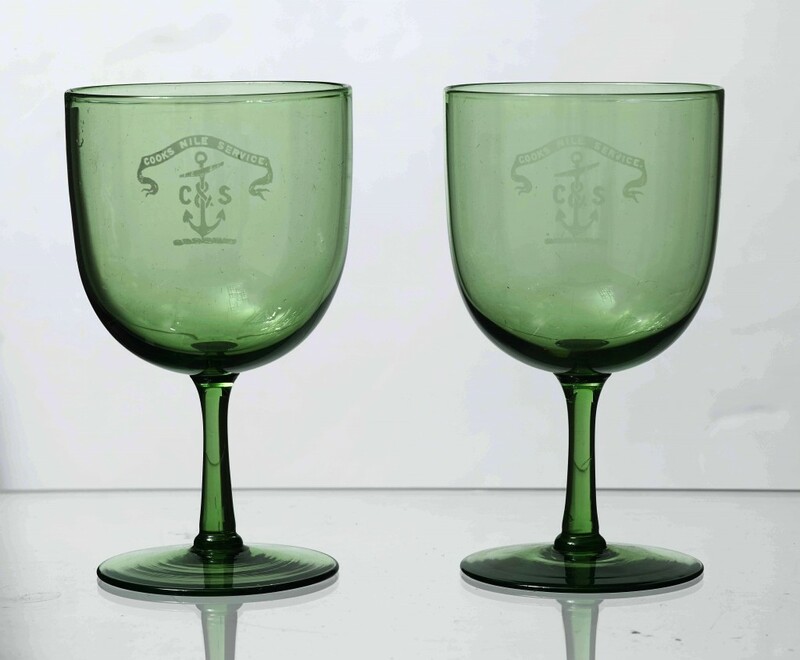 The company enjoyed a monopoly on the Nile for close on the next 30 years until it had to share navigation rights with a handful of rival new steamer companies including the Anglo-American Nile Steamer and Hotel Company, the Tewfikiya Nile Navigation Company and the Express Nile Navigation Company. Even so, On the Nile comes close to being a history of the company of Thomas Cook & Son in Egypt, for which there is a very simple reason. 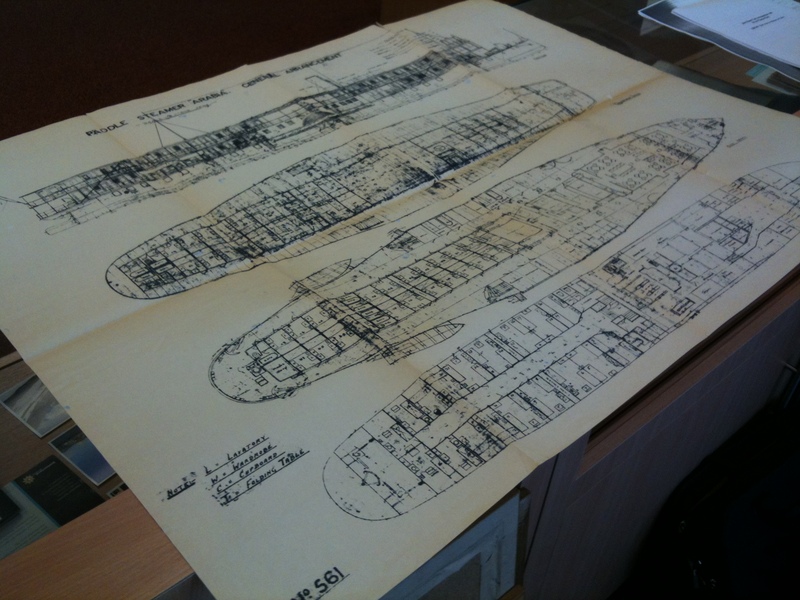 History may be written by victors but it’s also shaped by those with the best archives – and the Thomas Cook archive is fabulous. It’s kept at the company’s industrial park HQ on the outskirts of the unlovely town of Peterborough, 75 miles north of London. I made over a dozen trips up there in 2013 and 2014 while researching On the Nile, and so extensive is the archive I still didn’t manage to look at everything relating to Egypt, never mind the stuff concerning the company’s operations around the rest of the world (which includes everything from contracts and minutes of meetings to porters’ costumes and a couple of glass panels by Lalique from the Orient Express). 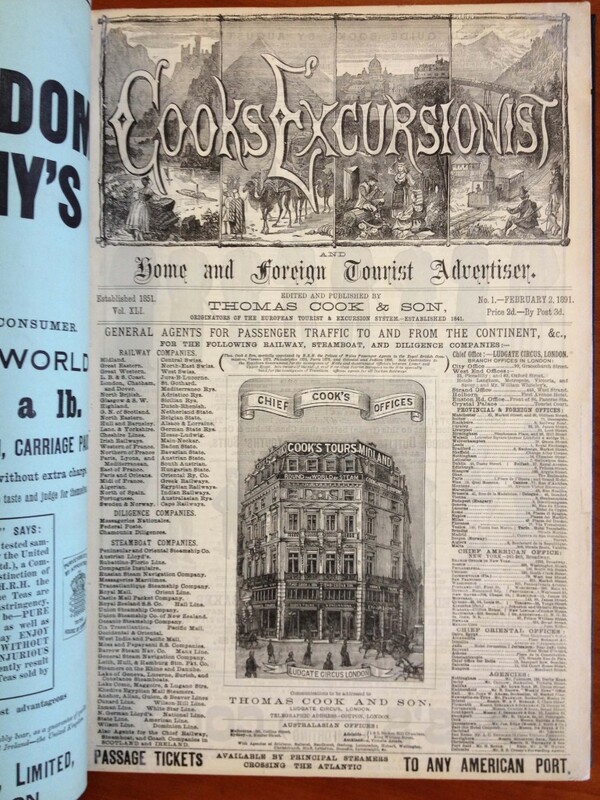 A particularly brilliant resource for any travel historians is a complete run of The Excursionist, which is a sort of proto travel magazine, published by Thomas Cook from 1851 and which featured details of Cook’s tours, as well as general travel news and articles, book reviews and a wonderful selection of advertising. 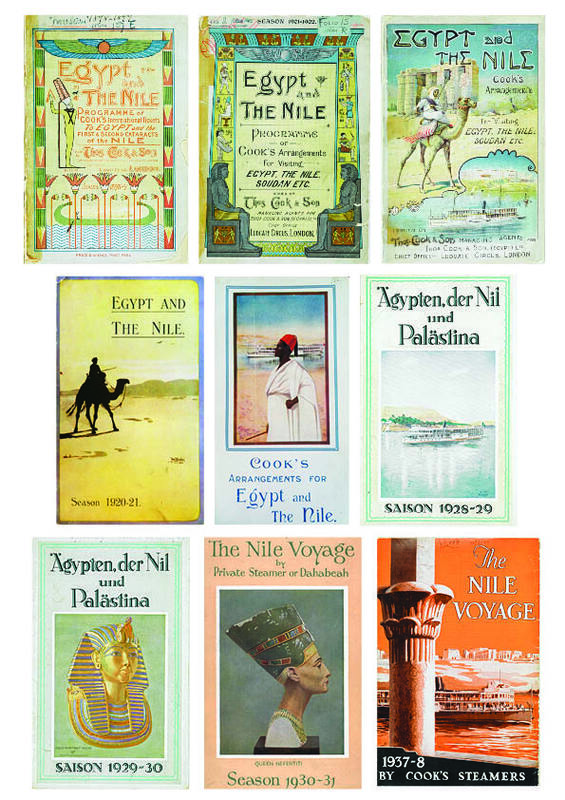 Even more useful, as far as my book was concerned, are the Egypt & the Nile brochures that were put out almost every year from around 1880 through until the 1930s, and which included timetables, descriptions of the ever-changing Nile fleet and tour itineraries. There were also diaries (more of which in a future post) and letters – notably an entertaining sequence of correspondence between John Mason Cook and his son Bert, who ran the Nile service operations, with Cook senior getting splenetic over the wrong soap being placed in the boats’ bathrooms and “some mean skunk” stealing all the pieces from the boardgames in the lounges. Unfortunately, almost none of this material is laid out for public view, instead it is all housed in a garage-like storage unit from where it has to be retrieved by the company’s full-time archivist Paul Smith. Fortunately, he’s an amiable man who was willing to make endless trips back and forth across the car park to deliver up boxes of the raw material out of which my book was shaped. 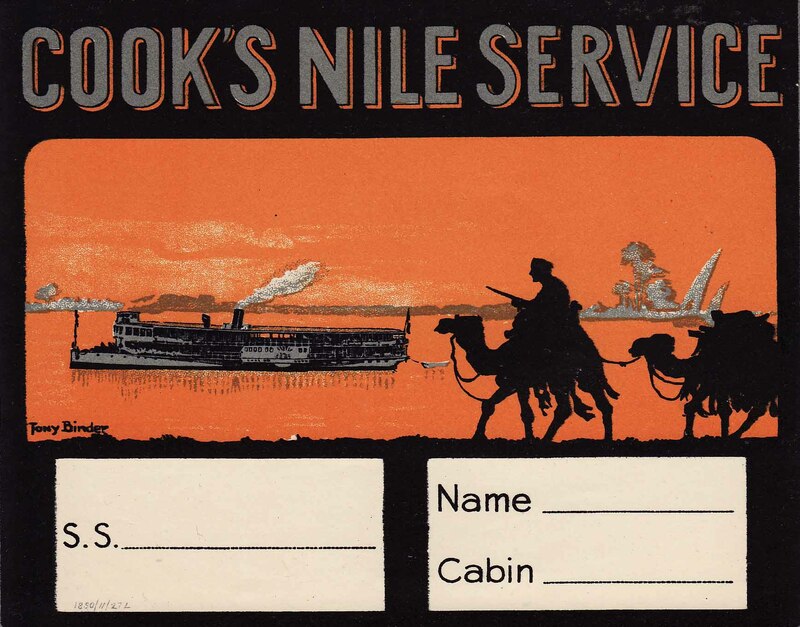 On the Nile could not have happened without the Thomas Cook archive or the assistance of its archivist. Thank you Paul.